On our largest building days, we tackle projects of varying complexity. Groups of volunteers may install a wheelchair ramp, remove clutter, do some landscaping, or finish a complicated lead abatement project. 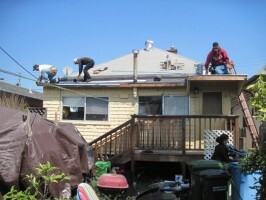 We can also repair roofing, flooring, plumbing, and heating systems. And we can replace old and dangerous electrical panels and complete sewer laterals., or perform seismic upgrades on foundations. 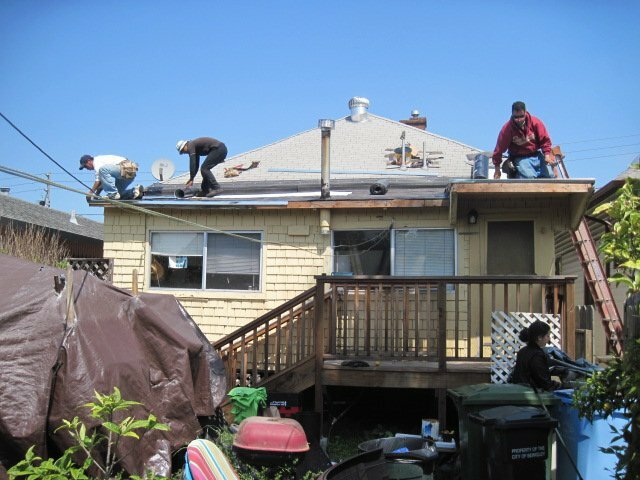 To make the most of our resources, we match the abilities of volunteers and the resources available with the most critical needs of homeowners. 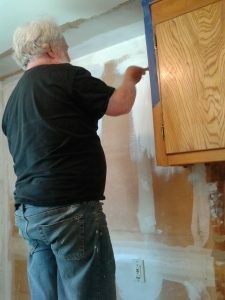 A volunteer making a kitchen the homeowner can be proud of. In 2013, we completed one of our most intensive rebuilding projects to date. The homeowner, a disabled veteran, was spending his 80’s in some of the harshest conditions we have seen: the roof and floor had numerous holes in them, letting in rain and wind; the chimney leaned precariously away from the house, always in danger of falling; the stucco had fallen away from the walls, making heat an expensive and elusive companion; and the home’s foundation was damaged, putting the whole structure at risk. The property’s obvious deficiencies attracted developers who pressured the owner to sell his home for nearly nothing, and who wanted to then use the property to build and sell multiple units for enormous profit. In response to the encroachment of developers, RTEBN teamed up with several community partners to rebuild the veteran’s home, making it safe and comfortable. The project work included tearing the original house down to the studs, repairing the foundation, rewiring, resheeting, reroofing, and repainting the house. Today, this home stands as an excellent example of the community coming together to provide assistance where it is most needed. It’s all in the preparations. We also love working with other nonprofit organizations that provide services to the East Bay community. One of the excellent community spaces we’ve helped to rebuild is the Women’s Daytime Drop-In Center. The WDDC is a nonprofit that empowers homeless women and children to get off the street and into homes. To support the needs of this population, the center provides a variety of services, including nutritious meals, a comprehensive children’s program, ongoing and intensive counseling, daily support groups, and transitional housing. 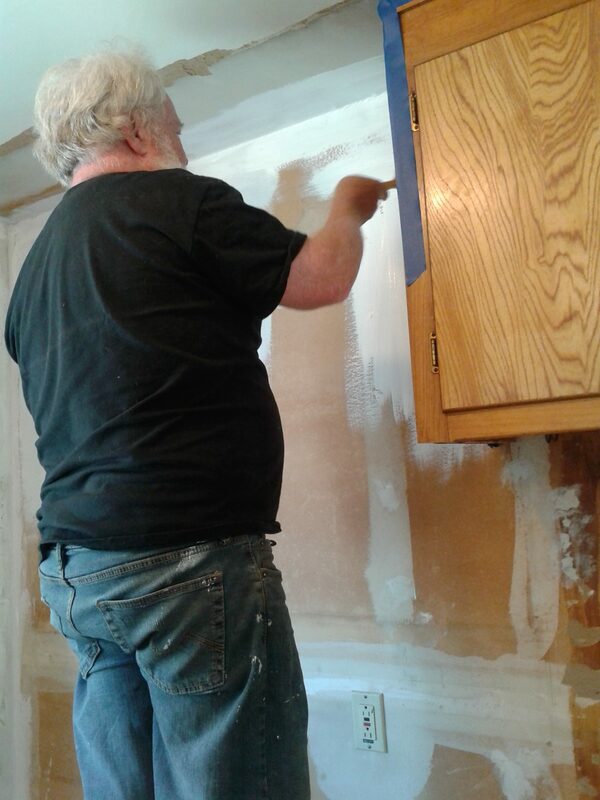 RTEBN has helped the WDDC with more than fifteen small and large renovation projects so that the center can more effectively help women and children in the community. Through our established web of local volunteers, RTEBN was able to provide materials and labor worth thousands of dollars for the center, including shoring up the building’s foundation, bringing the site up to ADA standards, correcting kitchen plumbing problems, installing new gutters, and clearing debris from around the building. The WDDC continues to serve an average of 150 women and children each month in a nurturing, home- like environment, and RTEBN is proud to have contributed to that work.